Lovely looking guitar, and I'm sure your dad would be chuffed that you'll keep playing it... I know I'd be happy knowing my kids are enjoying the instruments that gave me joy. 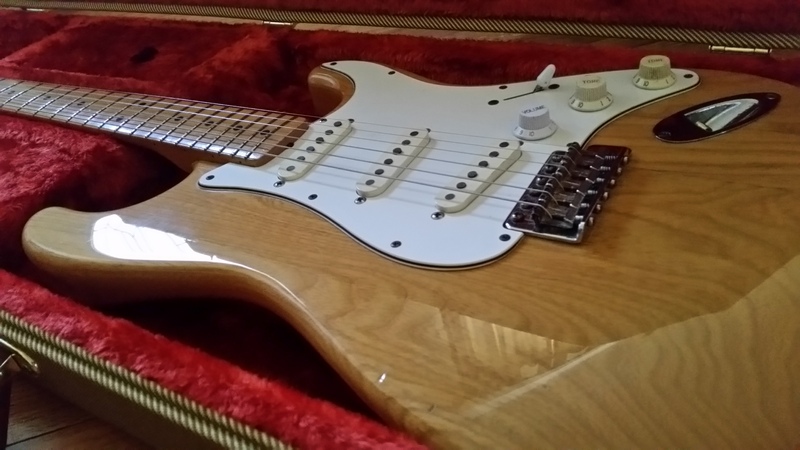 I still hope to find the strat for me have bought and sold so many over the years. TBH the only guitar he ever really owned for any real length of time and had some attachment to was his Taylor Big Baby, which I've also been holding onto since before he passed. That's probably the more sentimental guitar, however it's not one I really like to play too much other than noodling on around the house. 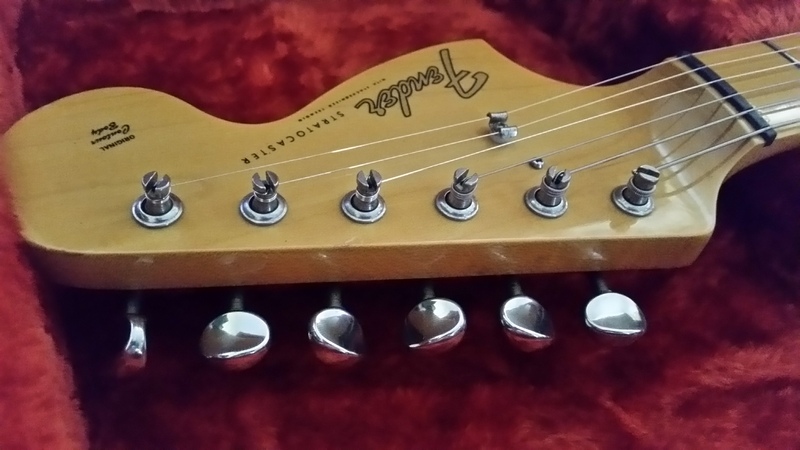 The Strat is one I know I can use and make my own, while still thinking of him whenever I play it. 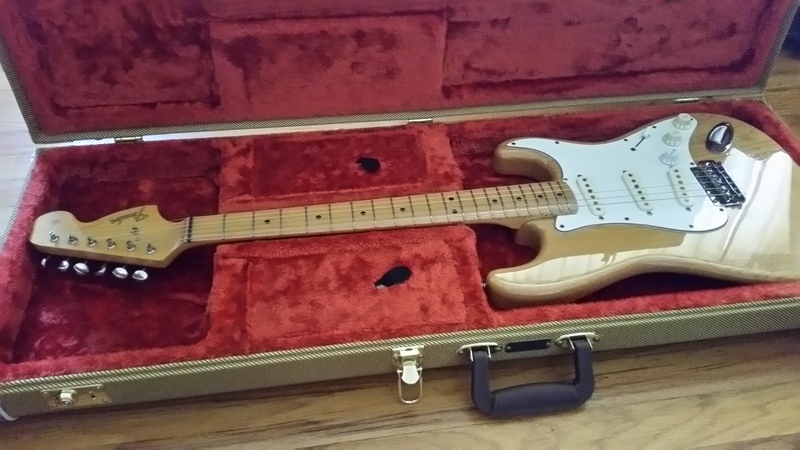 I dropped it off for a setup today, and also picked up a lightly used Fender Tweed case for it. Better pics in about a week. The case has the orangey red lining and is the type that keeps the guitar straight, with pockets on either side of the neck, as opposed to the asymmetric style. I've had many strats and strat copies before, this one feels like my first "real" one if that makes any sense. Also on the subject of setups, my dad's playing style and tuning was quite different to mine. He would tune to open E and flip righty guitars upside down to play lefty. He also liked 9's. 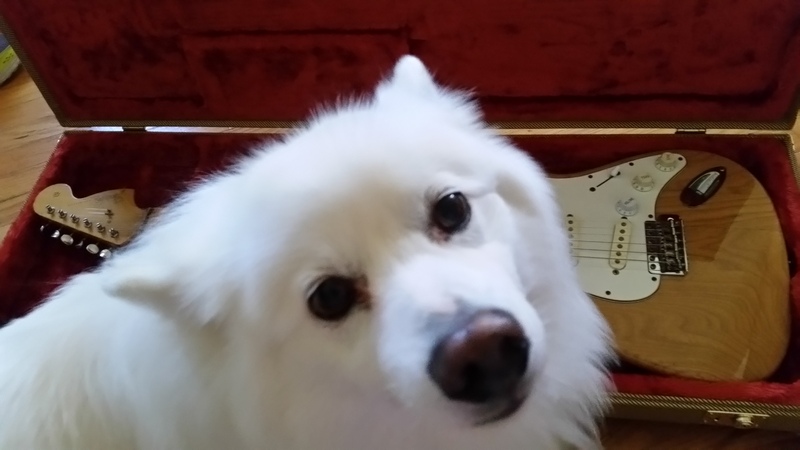 Because of the big difference in intonation, tension, and string gauges, I thought it better for someone who sets up strats daily to do the first one, I can probably manage on my own after that. I can do a great setup as long as it's someone else's guitar but on my own gear I'm somewhat lazy, sloppy, have trouble setting a deadline, and usually settle for "good enough". It's also just a great feeling getting a guitar back that's just been set up professionally. Setup done, picked it up last night along with the new case I bought for it. Such a difference, it's hard to put down. It's been so long since I've owned a decent strat and my first CIJ Fender...I've had plenty of strat copies with other pickups but this is something different.